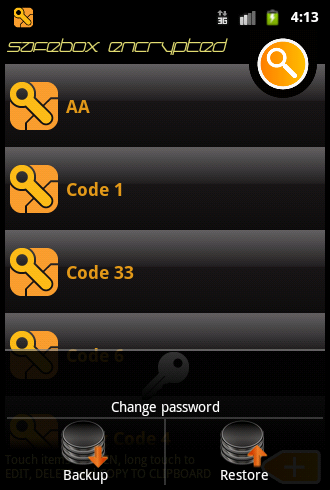 SafeBox encrypted v1.8 has been released on Google play market ! SafeBox encrypted v1.8 has been released on Google play market with new important features ! Copy to clipboard. 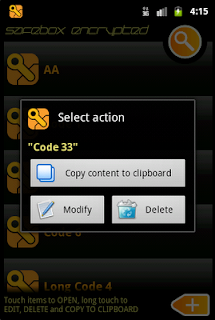 With a long touch on a list item is now possible to copy the item content to the system clipboard by the new contextual menu. Backup of the data archive to the SD card file system in an encrypted file. 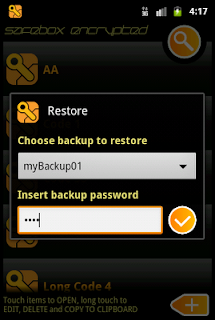 Restore of the data archive from the SD card file system. 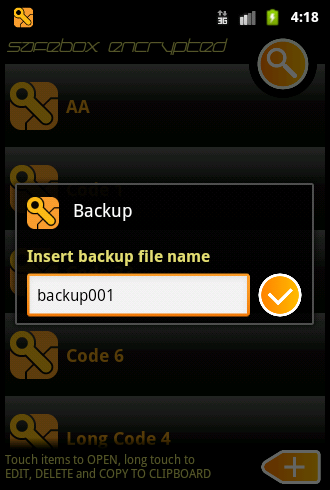 Restore of an "SafeBox encrypted free" data archive from the sd card file system. 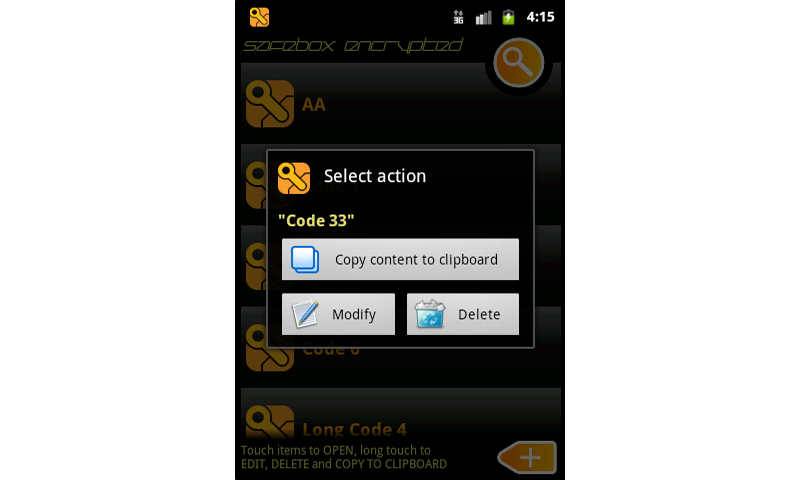 (The working folder for the SafeBox backups is "SafeBoxEncrypted/backups", is the same for the free and the full version of SafeBox encrypted).